Lion has announced it intends to commence a sale process for LDD. Lion CEO, Stuart Irvine said: “Following careful consideration, we believe a sale of LDD is the best option to set both Lion and LDD up with the capital and resources needed to grow into the future. The remaining Lion business has a number of avenues for growth available and the decision to sell LDD will realise the capital needed to accelerate investment behind these. 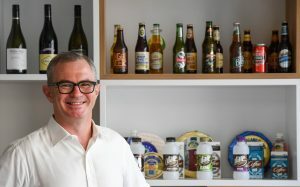 “Our Lion Global Markets (LGM) business has made great progress with Little Creatures now available in 30 global cities, the acquisition of the Fourpure craft beer brand in the UK and continued growth in our fine wine business in North America. We intend to back LGM to explore further opportunities in high growth craft beer markets world-wide,” said Irvine. At the same time, Lion has taken early steps in building a portfolio of premium, crafted non-alcohol beverages alongside its core beer brands. Recent investments in hot beverages like Schibello coffee in Australia and Good Patron in NZ are showing promising early signs. Lion will continue to explore opportunities in growing high margin categories in both alcohol and non-alcohol adjacencies, with a view to nurturing and growing other craft beverage brands. The sale process will commence immediately and Deutsche Bank has been appointed as the investment bank coordinating the sale process and King & Wood Mallesons as legal adviser. Greenhill & Co Australia has been appointed as independent financial adviser. Any sale of LDD will not impact Lion’s alcohol businesses in Australia and New Zealand.